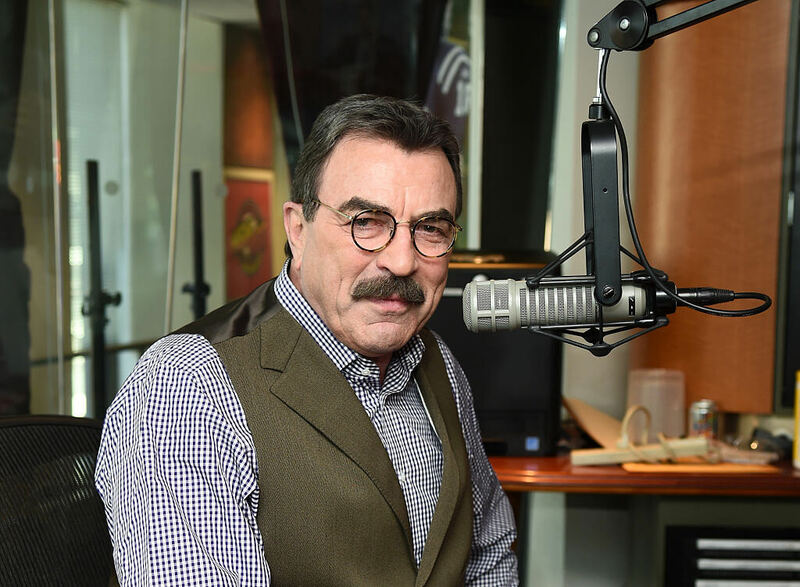 Michigan-born actor Tom Selleck is undoubtedly best known for his role as a private investigator “Thomas Magnum” on the 1980s television series Magnum, P.I. He’s done plenty of work since those days but has tended to remain quiet about his private life. That is, until recently when he opened up about his marriage to Jillie Joan Mack. Read on and we’ll discuss why Selleck is choosing to spend less time in the spotlight and more time on a farm these days. 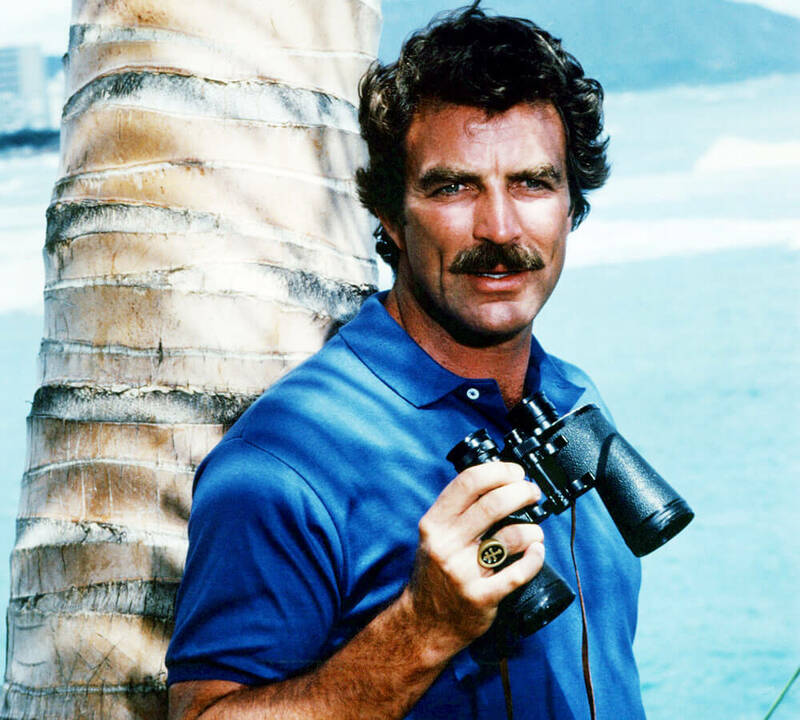 Selleck’s role as the Hawaii-based private investigator Thomas Magnum catapulted him into the public eye. Fans had posters of him plastered on their walls, and everybody wanted a piece of him. And then when 1998 rolled around, People magazine cemented Selleck as a legit heartthrob when it selected him as one of the 50 most beautiful men on the planet. He was right up there along with Denzel Washington, Sean Connery, and Mel Gibson. This was not a bad group to be a part of. While filming in London in 1983, his crew took him to a production of Cats because they knew he was excited to see it at one point. After he saw it for the first time, he must have been hooked, because Selleck kept returning to the play time and time again during his stay in London. He even told his co-star Jane Seymour how great he thought the show was. What was it about Cats that kept him coming back? As Jane Seymour told People, “I thought [Cats] was good, but I couldn’t see going back a dozen times” the way Selleck had. So what was it that had him hooked? Well, it turned out that there was a certain someone in the play that stood out to him, a special lady. It was 25-year-old Jillie Joan Mack. Soon enough, he got the chance to introduce himself and the two scheduled a date for dinner. At this point, her contract with the play was up and she had other commitments to handle. Needless to say, however, Mack wanted to see more of Selleck. Mack was now involved with an A-list celebrity. It was a gigantic decision for her, but she no longer had any ties to London so she packed up her things and moved out to Hawaii. Selleck was still in the heat of filming Magnum P.I. so she went to where he was at the time. Before you knew it, Mack and Selleck were almost inseparable. They went everywhere together and this included the red carpet at the Emmys. 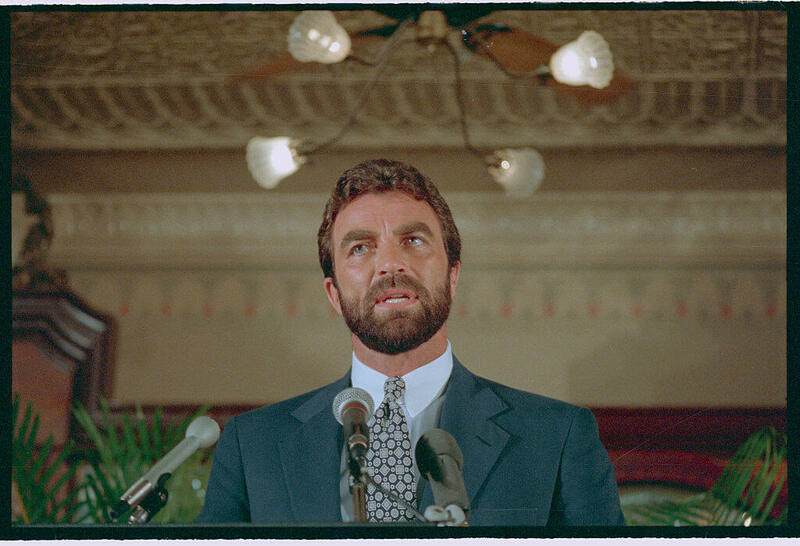 And don’t forget about Selleck’s 1986 Walk of Fame induction. Selleck became such an essential piece to the success of P.I. that he was able to make major decisions creatively towards the show. That meant one thing and one thing only. Having a say for the stories was nothing, being able to decide who was apart of the cast was the true power. Five years went by and the couple took their fans and family by complete surprise. The two had revealed they got hitched in secret! 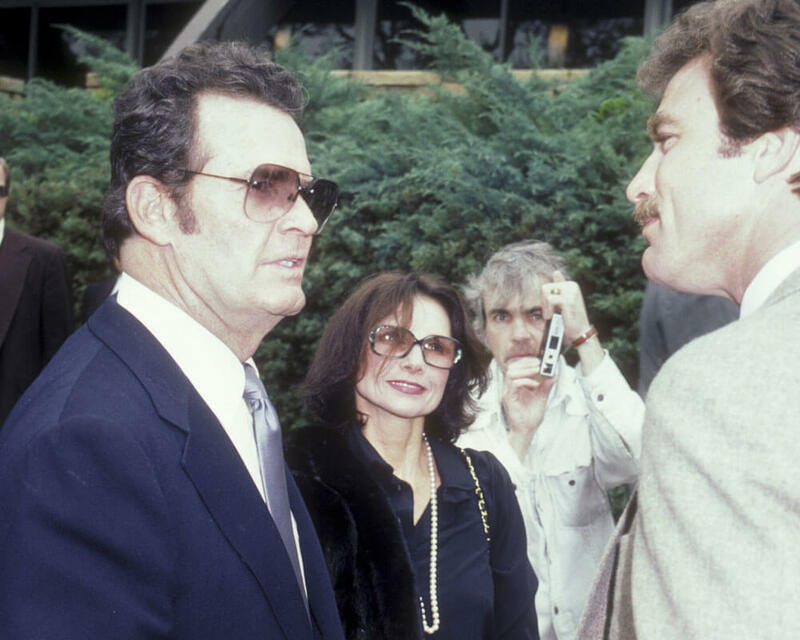 Selleck’s brother Bob organized the wedding in 1987 in Lake Tahoe, Nevada. They were wed under the nicknames Tom Jenkins and Suzie Mark. The couple ended up revealing who they really were moments before they recited their vows. This was to avoid legal issues, of course. To be extra safe, Selleck ordered that the photographer use a Polaroid so that the negatives couldn’t get leaked. When people are married and in love, chances are pretty high that they want and will have a kid. One year after the marriage, the happy couple welcomed in their daughter, Hannah Margaret. It brought in a new dimension to both of their lives. Selleck was serious about being there for his family. He moved the family to Ventura County, California which is just outside Los Angeles County and bought a 65-acre ranch. His wife felt that this ranch was the perfect place to raise the family together. “We both thought it was the best environment for [Hannah] to grow up,” Mack said. And if you fast forward in time, Hannah is an equestrian star. Being around the horses when she was younger fostered her love for equestrianism. Being in Hollywood and wanting to live a regular life can be a struggle to balance. Selleck knows this and he refused to let his name get in the way of his family. He saw first-hand how stardom damaged his last relationship and admitted his wrongs. When you’re a married man, you can’t really get caught seen with or mingling with other women without some type of speculation running through people’s minds. Because of this, Selleck had to tread softly. 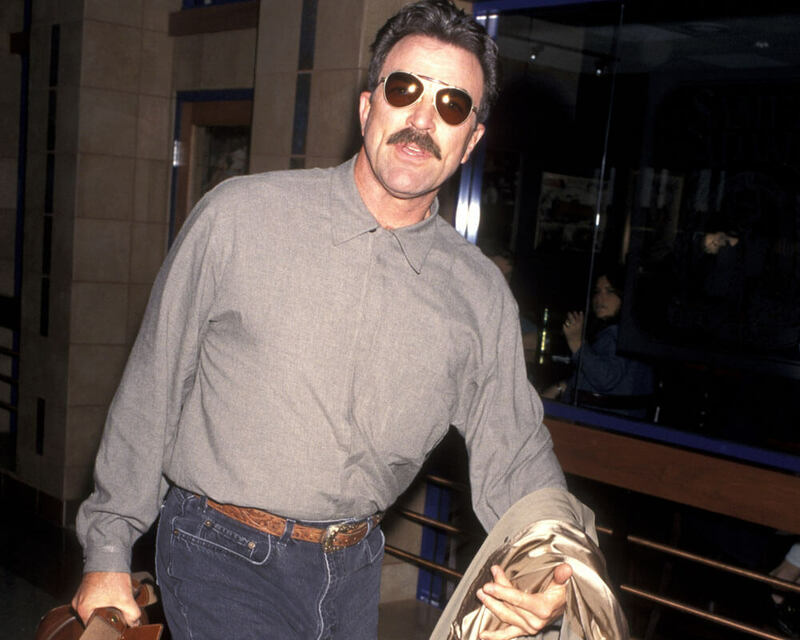 Even though Selleck portrayed male figures who weren’t that righteous in some of his roles, the exact opposite could be said about who he was a person. He is someone with a strong moral compass. He is also religious. Selleck recalls his youth when figuring out why he has a strong desire to help the young kids today. 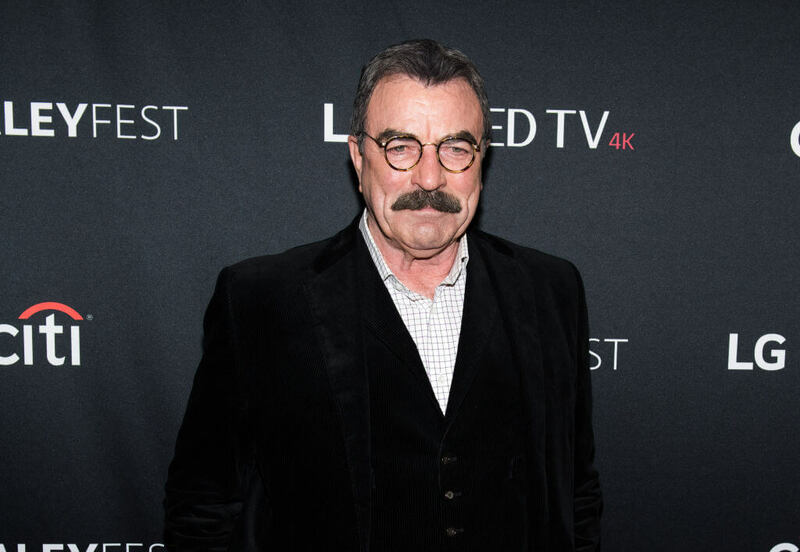 Born in Detroit, Michigan in 1945, Selleck says he came from a balanced upbringing. He knows that his family cared for him deeply, but they also allowed him to fend for himself and find his way in the world in his own right. 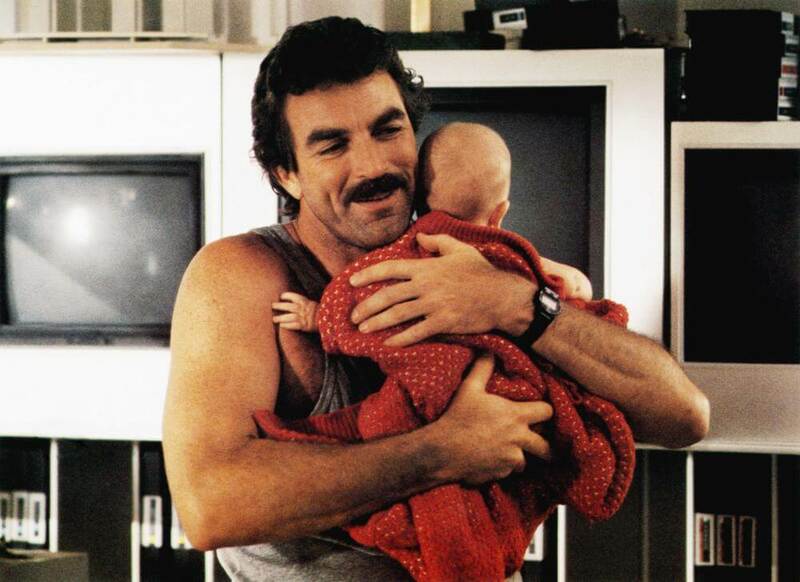 It wasn’t long after Selleck’s birth that his family would gather their belongings and head to California. There, they would start over. You could call him “Tom of all trades” if you wanted to. The young Selleck excelled at pretty much everything he did. He went to USC (University of Southern California) and majored in Business Administration. He earned a scholarship playing for the Trojan’s basketball team. While he was scoring baskets, Selleck also worked as a model. Soon enough, a drama coach inspired him to try out acting. Then, he learned how to act at the Beverly Hills Playhouse. Selleck was the man with the plan. The young college stud had everything going smoothly for him. He had a degree on the way, played for a division one basketball team and worked as a model, there was nothing you could tell him. Soon, it was time for him to start weighing his career options. Selleck impressed at theater school so he began to get a few roles in local commercials. Once he appeared on the show The Dating Game, Selleck nabbed a deal with Twentieth Century Fox. 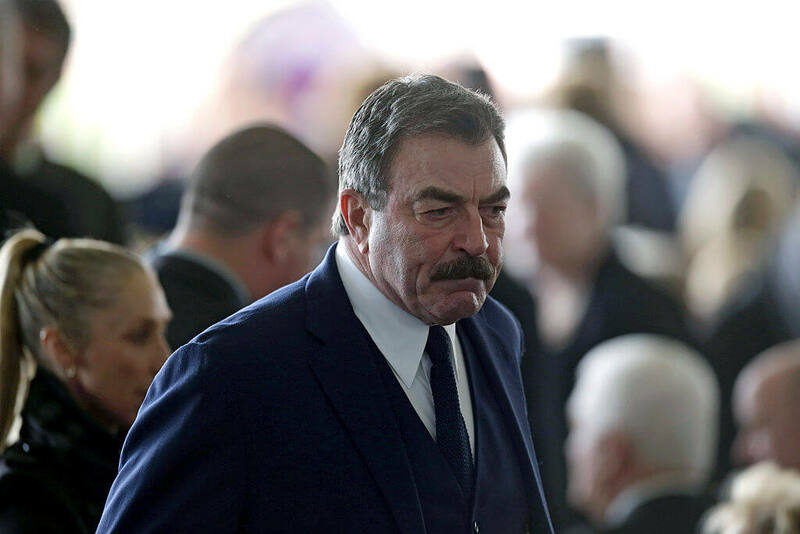 Other than his role on Blue Bloods, Tom Selleck has become what you might call a recluse star, spending the majority of his time on the avocado farm. The farm is 30 huge acres, but the fact that he’s doing this isn’t anything new. He doesn’t like avocados, but he’s been doing this for over three decades now. “So I like to get outside and work on the farm, from fixing roads to clearing brush,” he said. After doing what half of America fails to succeed at, which is keeping a successful marriage all while living a Hollywood lifestyle, Selleck now wants to focus on the bigger picture. To Selleck, his priority is to keep growing with the person he considers his one true love. 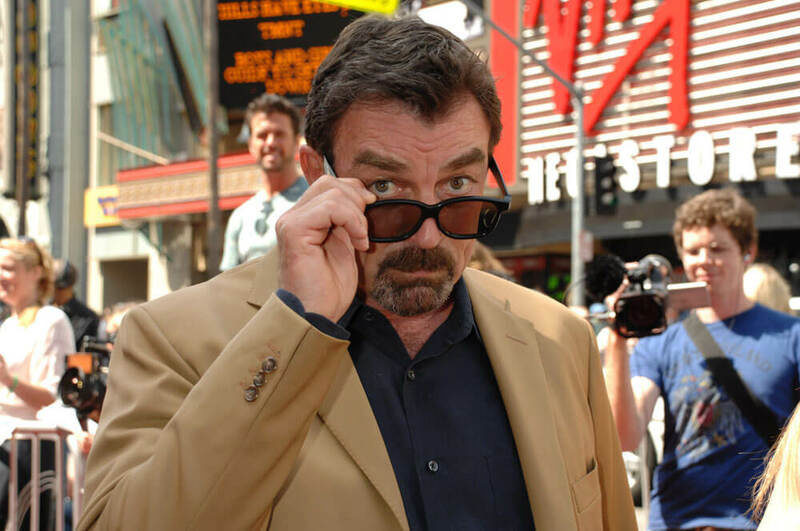 Selleck knows that if he wanted to, he could hop right back into his saddle and ride smoothly into Hollywood. The moment he expresses his interest, studios would be calling his agent’s phone nonstop. 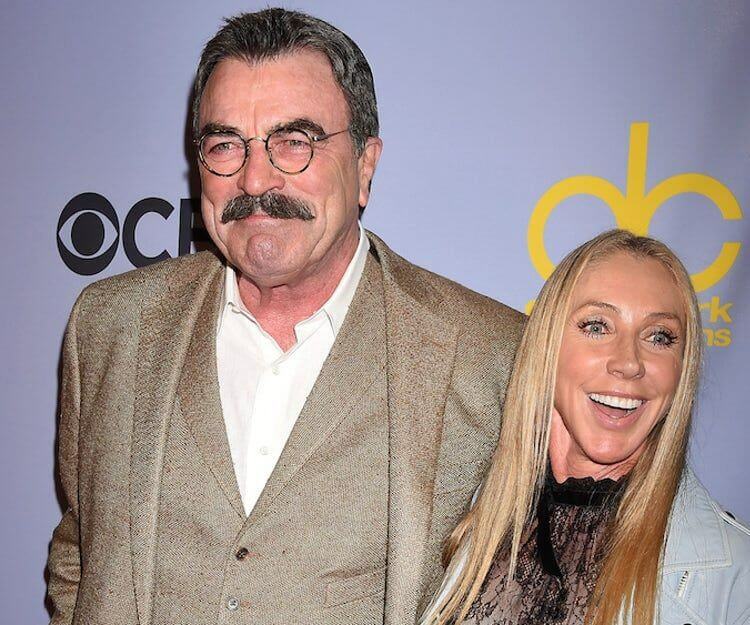 However, Selleck is focusing only on his two biggest fans; that’s his wife and daughter. Once he experienced loss in the past and seeing the direct damages of the celebrity lifestyle, he knows better. His family is his big picture and nothing is greater to him than that. Everything was going perfectly for Selleck, but as you already know, good things don’t always last forever. Just as quickly as he signed his deal with Fox, it was snatched from him in 1967 after the Army drafted him for the Vietnam War. He ended up serving until 1973. It may have got in the way of his real dreams, but Selleck was still proud to serve. “I am a veteran, I’m proud of it. I was a sergeant in the U.S. Army infantry, National Guard, Vietnam era,” he said. Selleck had finally finished his duty and it was time for him to come back home to where he belonged so that he could chase his dreams. He figured it would all be a formality and Fox would just bring him back on board like he never left. That was his first mistake. As it turns out, they fired Selleck once he got drafted. That left Selleck back at the drawing board trying to figure out his next steps. Even though things seemed bleak for Selleck, fame and fortune were written in the stars for him. His schedule became filled with opportunities soon enough. He starred in over half a dozen TV pilots and eventually landed a role in Magnum P.I. The show was a match made in heaven for the stud. It was about a veteran, which he was, who becomes a private investigator in Hawaii. It was like the script was written just for him. Of course, Selleck hit the jackpot by landing this role, but it didn’t begin that well for him. There were issues at the start revolving around funding and the writers even went on strike at one point! This didn’t stop the show from receiving great ratings thanks to Selleck. Critics and fans alike raved about the investigator show. 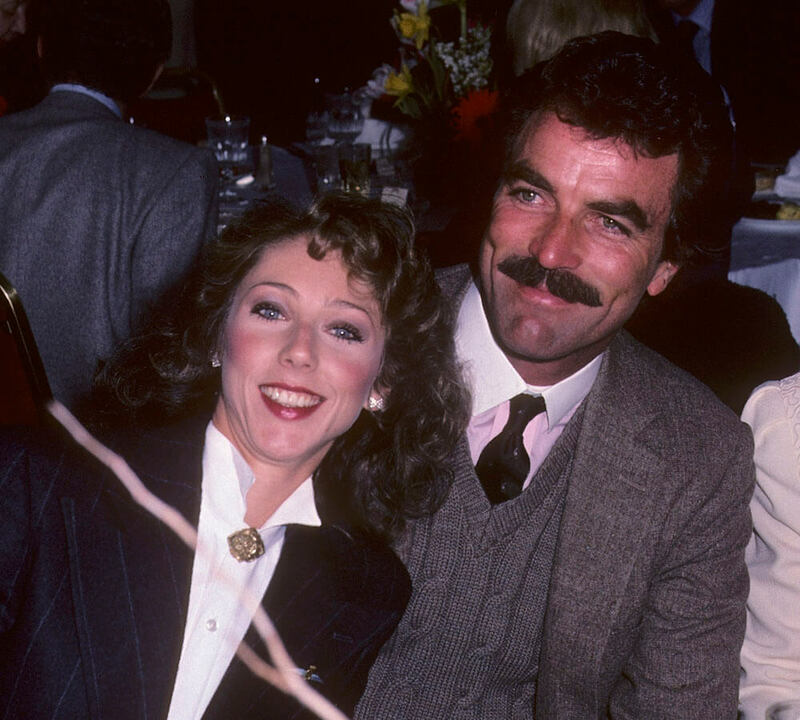 Selleck would end up winning an Emmy in 1984 and many more would follow after that one. Selleck had an amazing on-screen presence. That presence mixed with great writers and a supporting cast is what led Magnum P.I. to become a commercial and critical success. The show has been nominated for many Emmy awards. 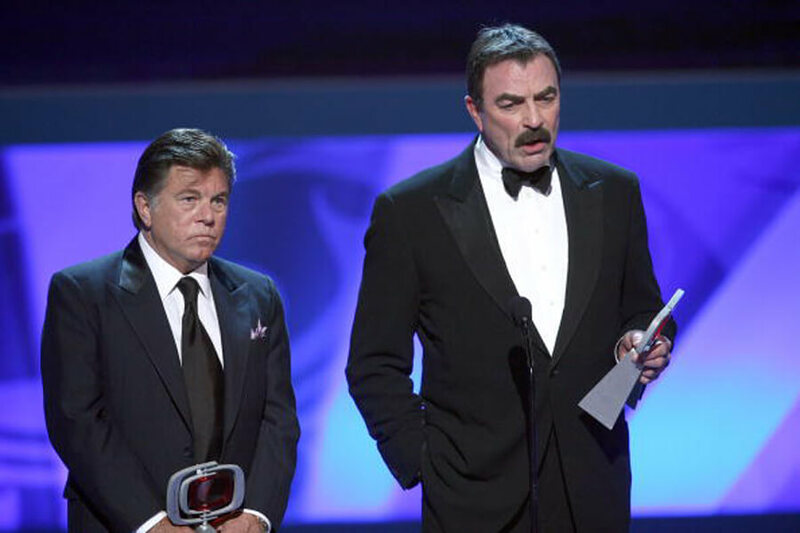 Selleck also won the Golden Globe for Best Performance by an Actor in a TV Series back in 1985. Not only was Selleck taking home the hardware, but so was John Hillerman. He played Higgins and also won a Golden Globe in 1982 for Best Supporting Actor. Think whatever you want, but Tom Selleck wasn’t type-casted or Hollywood’s version of a one-hit wonder. The man could act! Magnum P.I. eventually came to an end after 162 episodes and Selleck was free to try out other jobs. He landed a role in the smash TV show Friends as Monica’s much older boyfriend. After that, he played in The Closer and Las Vegas. 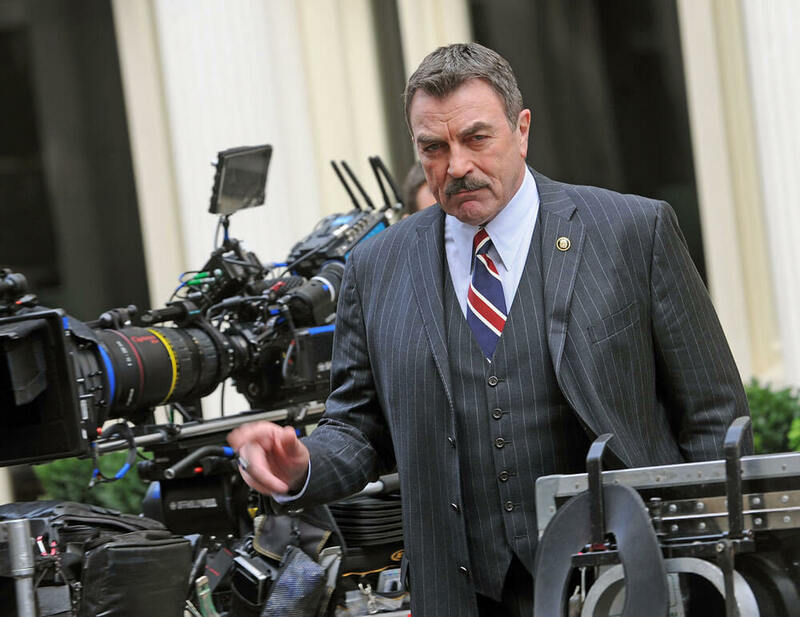 More recently, Selleck was the main star of Blue Bloods. 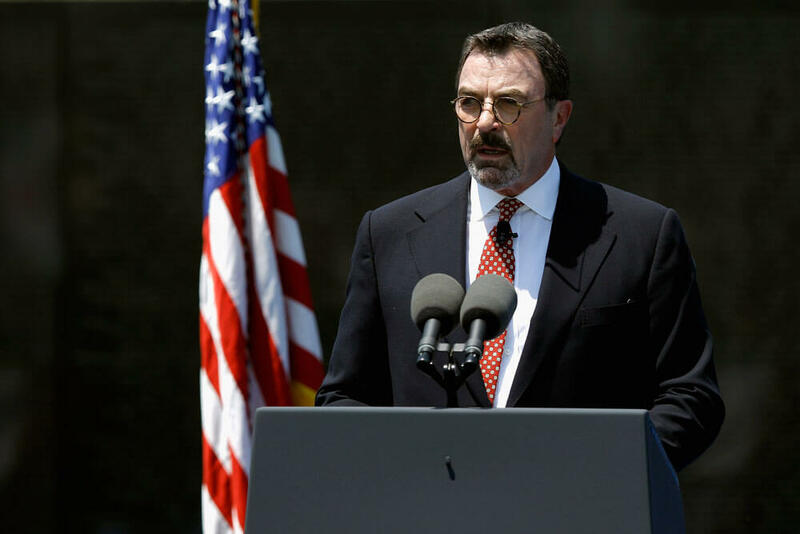 Anyone who’s familiar with Selleck knows he’s a politically-charged star. The retired star most recently described himself as “a registered independent with a lot of libertarian leanings.” that isn’t it, though. He is also an avid member of the National Rifle Association. Who Has The Best Stache? Selleck is someone you can easily recognize due to the fact that he sports that mustache so well. It’s an iconic piece of body art practically. 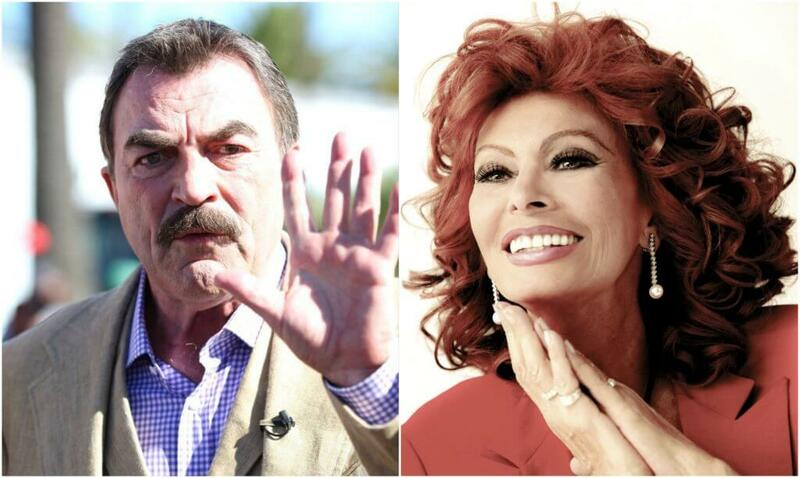 However, there have been a few others in Hollywood that don the mustache look over the past decades. Some notable names that make the look their own include Will Ferrell and Nick Offerman. Ferrell’s character from The Legend of Ron Burgandy is a memorable one. And you know Nick Offerman from Parks and Recreation. Something that you might have figured or noticed about Selleck is that he sometimes plays roles that are extremely similar to his personality. Other times, they are people that he hopes to be like. 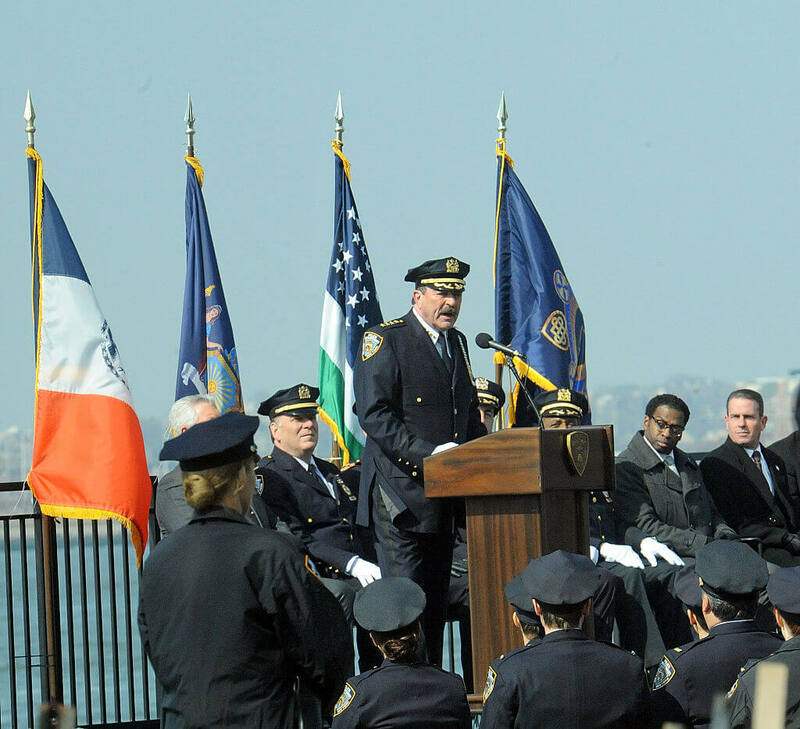 He said his character from Blue Bloods is a proud practicing Catholic. It not only applies to him but to his character’s family members who are also as religiously passionate as he is. He may not be as religious in real life, but that character is an idealized replica of him. 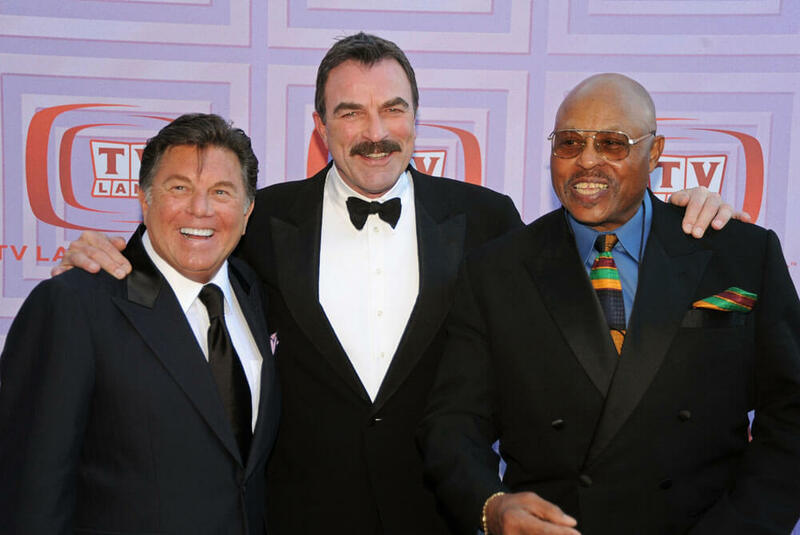 One of Selleck’s past cast members, Larry Manetti, had very high praise for the actor. Manetti worked with Selleck on P.I. and was talented himself. 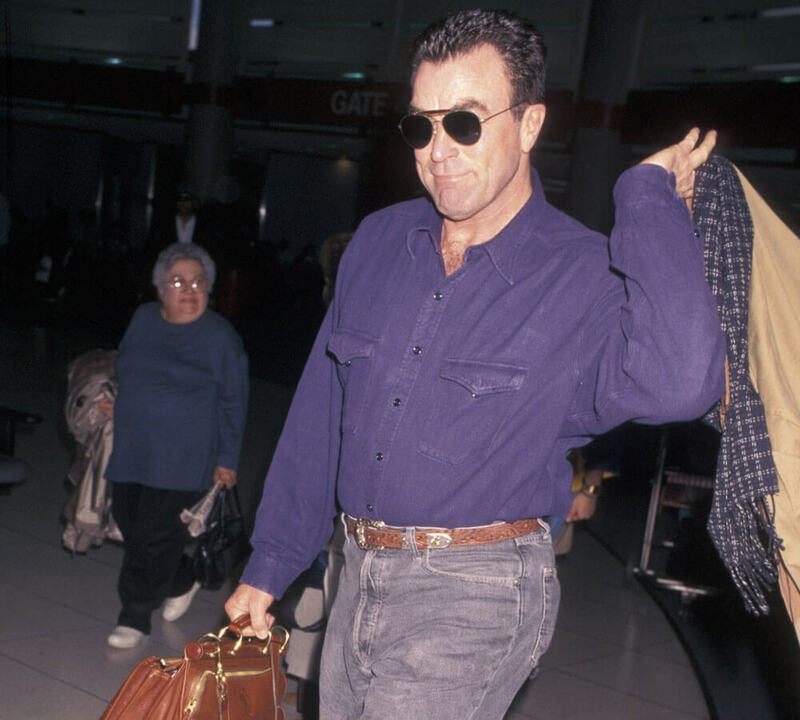 He wrote a memoir in 1996 called Aloha Magnum and discussed how much he admired Selleck for his hard work ethic, even though the show took a toll on those involved. He didn’t stop there either. 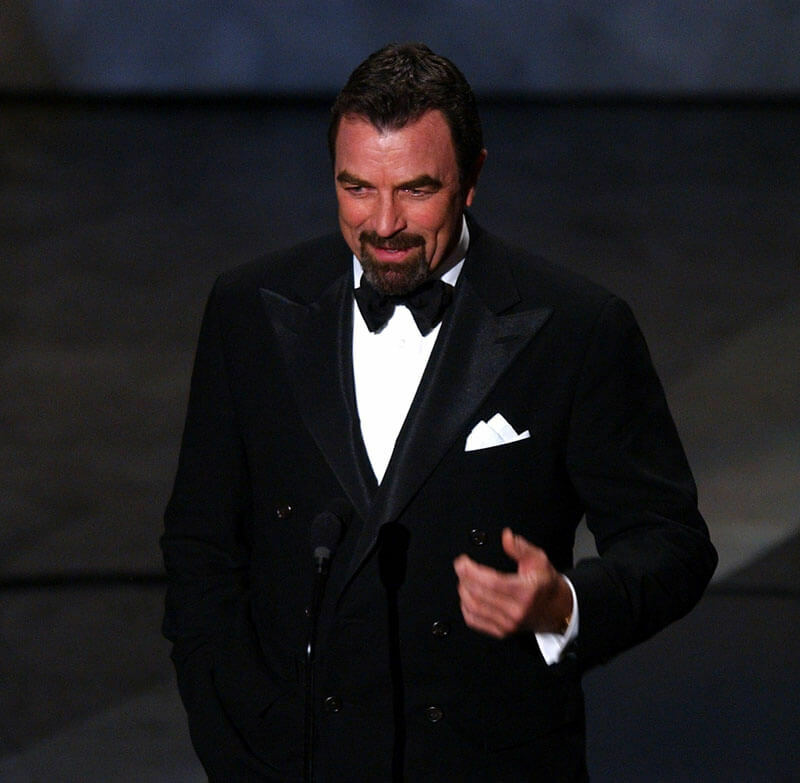 He also praised Selleck for all the work he did for several local charities while filming in Hawaii. Most famous actors have other hobbies and interests outside of acting. 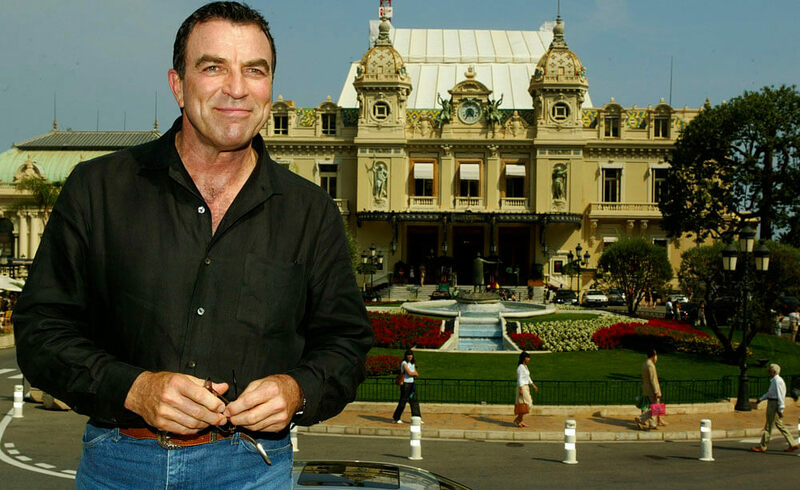 Many like to enjoy sports and for Selleck, his sport of choice was hockey, believe it or not. You can catch the retired actor at the Staples Center taking in a Los Angeles Kings game. That’s his favorite team and he has been very vocal about his love for the game of hockey. Some of his favorite players are Alexander Forlov and Anze Kopitar. During his time on the beautiful islands of Hawaii, Selleck took up a handful of passions. One of those passions happened to be beach volleyball! That’s not a sport you see celebrities playing every day but Selleck enjoyed it a lot. Ups and downs in love is a given. Its almost impossible for relationships to stay in that fairy tale honeymoon phase for the whole thing. With love comes adjustments and Selleck is no stranger to this fact. Just ask him about Jacqueline Ray and he will tell you. The two of them adopted a son together and that may have brought a lot of joy, but it wasn’t enough to keep the spark going in their love lives. Their divorce came in 1982. 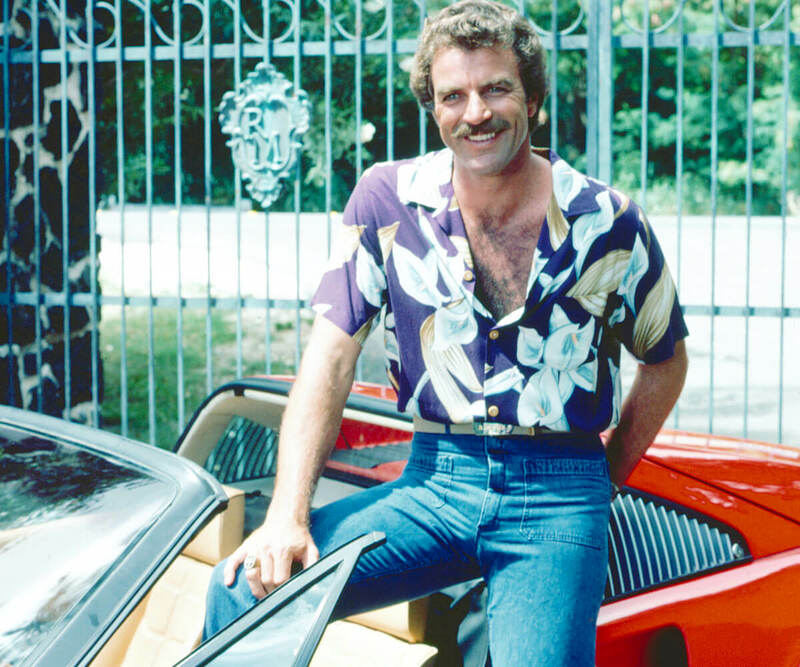 You can’t argue against the fact that Selleck’s fame and fortune came from his breakthrough role on Magnum P.I. After all those commercials he used to do he finally landed something that would put him over the top. His Hollywood lifestyle of celebrity parties, promotional tours, interviews and everything else put a strain on his relationship with Ray. His love life wasn’t the only thing that was tarnished. 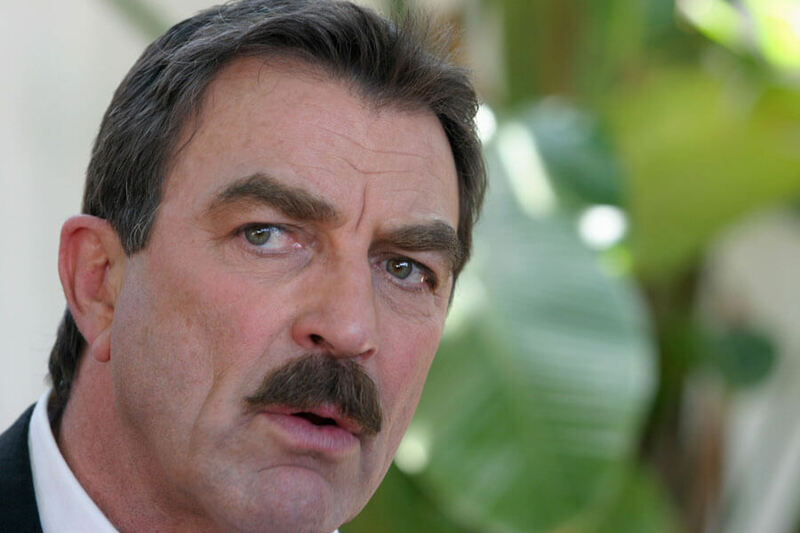 Producers forced Selleck to pass up on roles such as Indiana Jones. 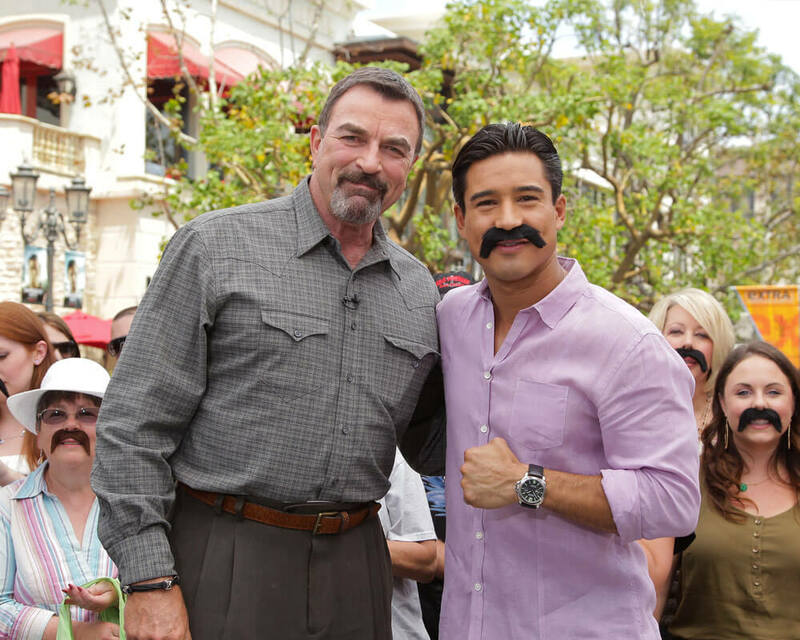 Do you think Selleck is proud to hear that the show that made him famous is getting a reboot soon enough? Maybe not that happy once he hears he won’t be able to reprise his role as the classic character. Jay Hernandez will be playing that part of Thomas Magnum. 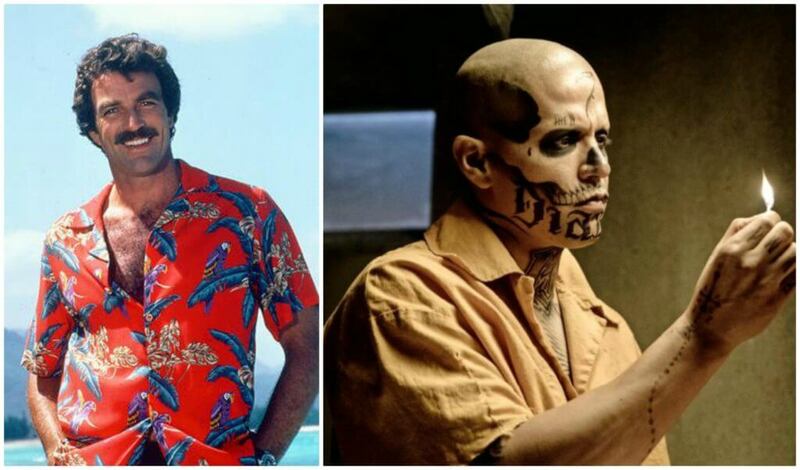 moviegoers might recognize Hernandez for his role in the DC movie Suicide Squad as El Diabl. Whether or not it will be good is up to the fans. After 30 Years, Still Going Strong! 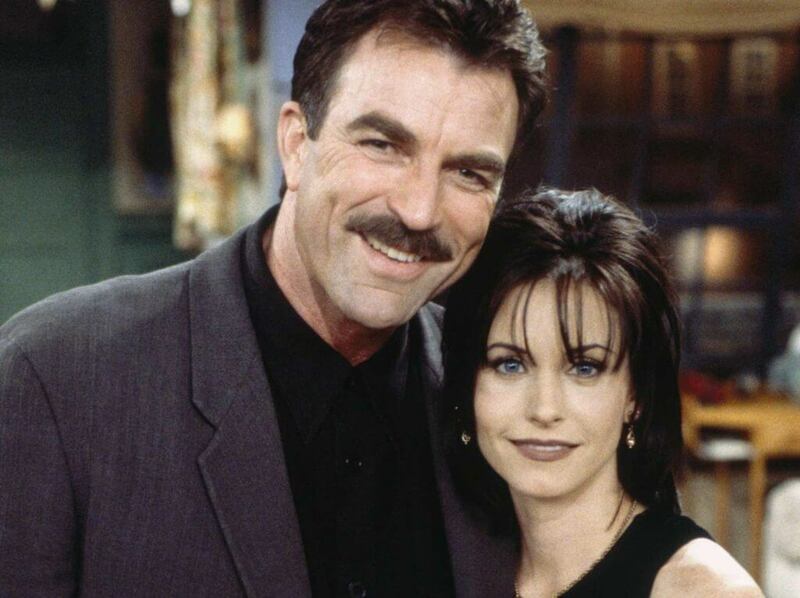 You can certainly describe the union between Selleck and Jillie as a happy marriage. The couple has been together for more than 30 years and still are going strong. They have spoken about the relationship in recent interviews. 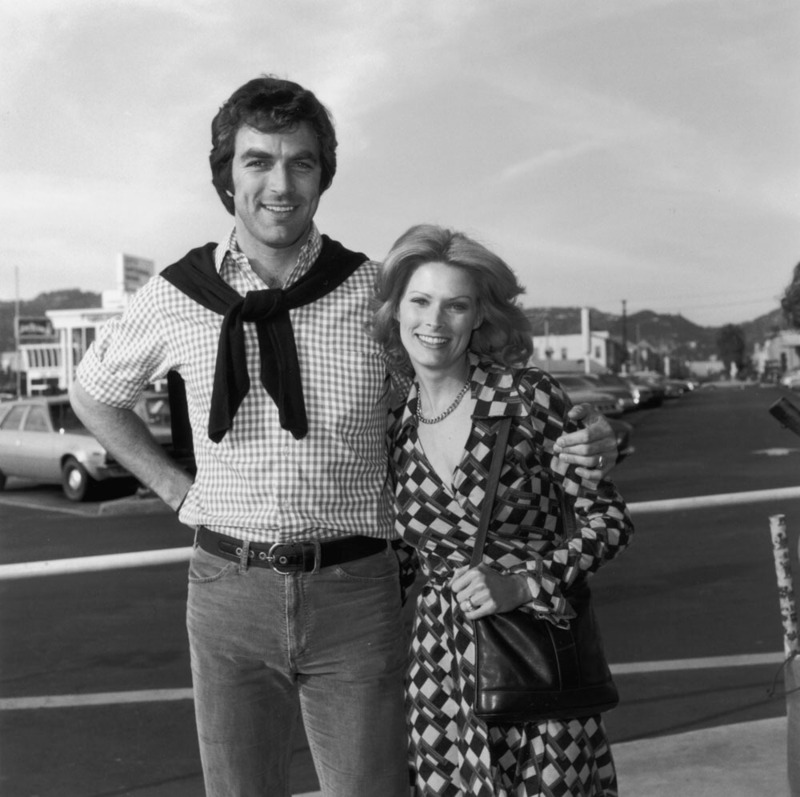 When talking to NY Daily News, Selleck said,”Jillie and I have a pretty good partnership. We don’t do anything or make any decisions without consulting each other,” he said. That is the foundation of a great bond between lovers, and this love story had a very different outcome than many Hollywood marriages do. Withstanding the fame, fortune, and spotlight that Hollywood shines upon those involved is often a tough task. Not to Selleck and his family. They haven’t let the celebrity lifestyle get to their heads. It’s the complete opposite with them. They don’t have loads of stunning cars and houses. The family still lives in their cozy California ranch which has been converted into an avocado farm. Maybe the fact that Selleck took a step back from acting has something to do with this, but he has always been humble. Did you know that Sigma Chi is one of the oldest fraternities with more than 200 chapters across the United States? Well, Selleck joined this fraternity and still maintains his links to this day. That isn’t something you turn your back on anyways. 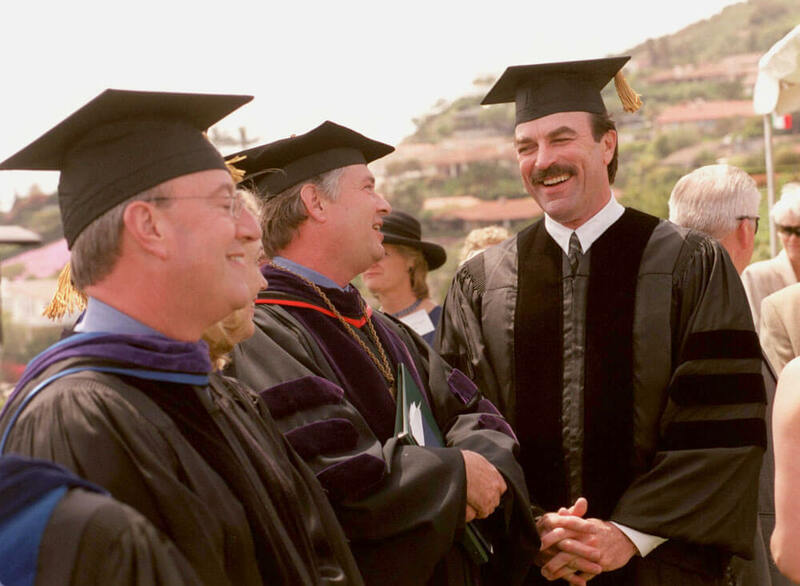 All throughout college it seems like Selleck was quite the busy man. Playing on the basketball team, modeling, and being apart of the Sigma Chi frat is very time consuming. Hard work pays off. Losing someone you love is tough on pretty much everybody. 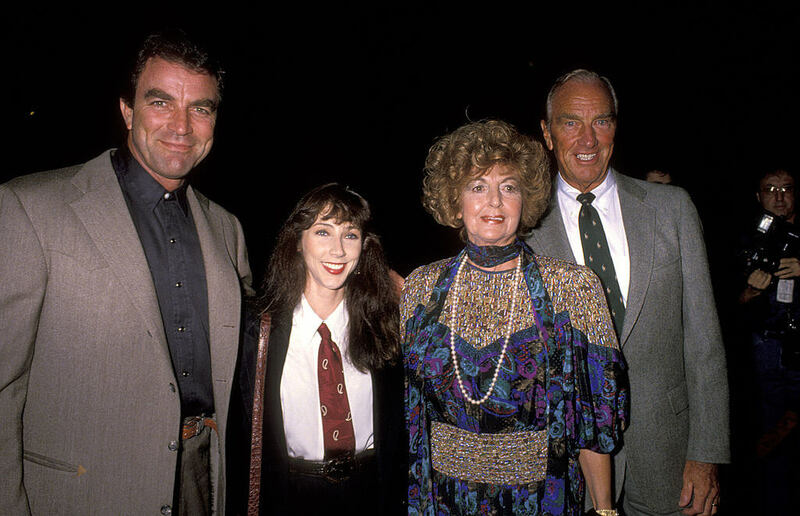 Moreover, it can be even tougher when you lose a parent and for Selleck, he lost his in 2001. That was when he had admitted he had to finally become a grown man. “I had had a lot of leadership positions, I had been in the military…but you know, in my case, when my father died, I go, ‘There’s nobody to go to for fatherly advice. You’re on your own, pal’,” said Selleck. Once Selleck’s time on James Garner’s show ended, it led to him landing his own TV show to star in! That was Magnum P.I. as you may already know, but Selleck wasn’t too big on the idea at first. That’s when Garner gave him some crucial advice. By now, you know how tall Selleck is. 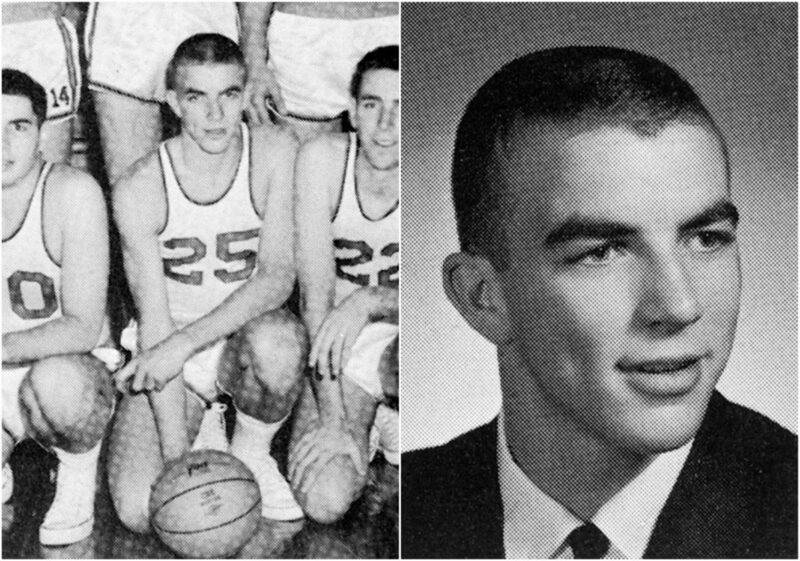 The man played collegiate basketball for crying out loud! In the beginning, Thomas Magnum was going to be driving a Porsche, and not a red Ferrari. Both of the cars are equally as fancy, but there was a problem with the Porsche. Selleck’s tall frame made it impossible for him to ride around in the German sports car! Looking back at it, it’s safe to say it all worked out. Even though Selleck is a master of none, it is hard to imagine him being prominent in anything else other than acting. 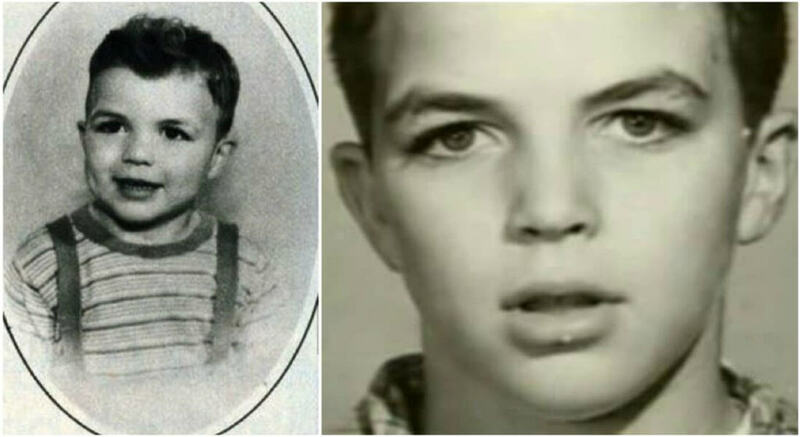 He had a legendary role that made him who he is in Hollywood. 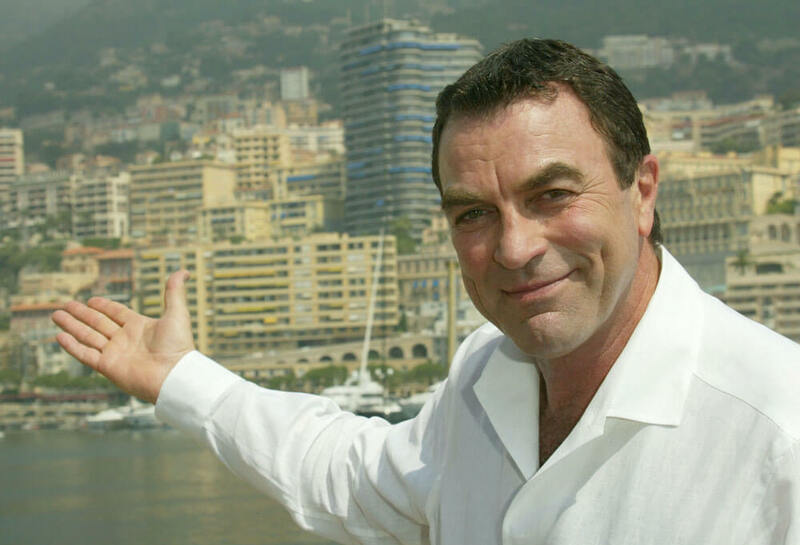 However, during a televised interview in 1987, Selleck revealed some fascinating news.